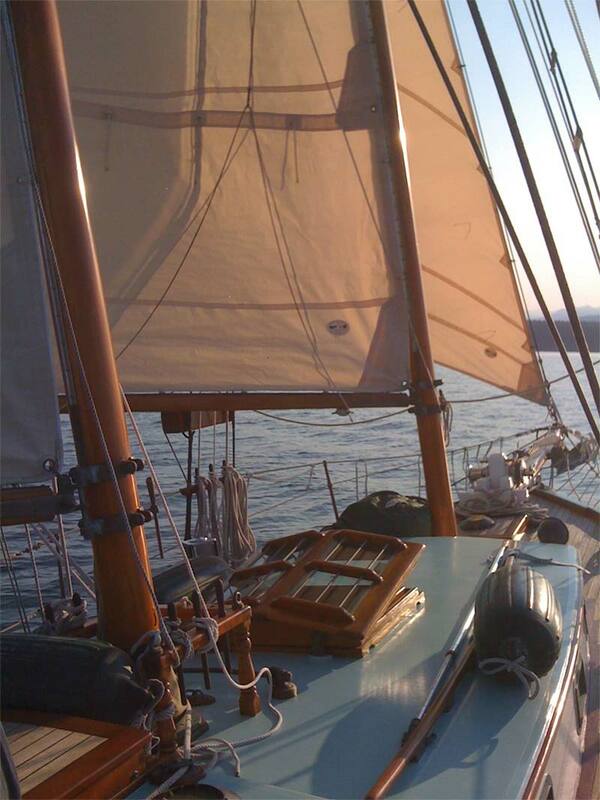 Ceridwen was lofted in the fall of 1982 at Magner and Sons Boatworks by John and Kevin Magner and Matt McCleary. Matt continued on with the building project along with his wife Stephanie. Ceridwen has a lead keel and steam bent oak frames. Ceridwen was launched in 1994 in Port Angeles, Washington and made her maiden voyage in 1996 to her home in Port Hadlock. Ceridwen was recently featured in Wooden Boat Magazine in January 2017.